It may have taken a few years to turn the ship around, but Intuit is now steaming ahead towards a mighty vision. A vision that, to be frank, is far grander than I or many others would have guessed. To the point where it’s hard to imagine that one company can do it all. ERP software, banks and other lenders, practice management software – Intuit plans to tackle all these markets. At this year’s QuickBooks Connect conference in San Jose, I interviewed the irrepressible Sasan Goodarzi, head of Intuit’s Small Business division, about the various initiatives we had heard about over the past three days. Each one of those initiatives turned out to be quite monumental. Let’s go through them one by one. Will QuickBooks Online target larger businesses? Intuit has always said QuickBooks was first and foremost designed to help small businesses. The company’s totem is founder Scott Cook’s kitchen table where he first wrote the software for his wife’s business. While Xero was the first to announce that it would target “slightly larger” companies and not just small businesses, QuickBooks Online was always in a better position to do so. Xero has a soft limit of 1,000 transactions a month; once you hit 1,200 or 1,500 transactions it takes longer and longer to run reports. 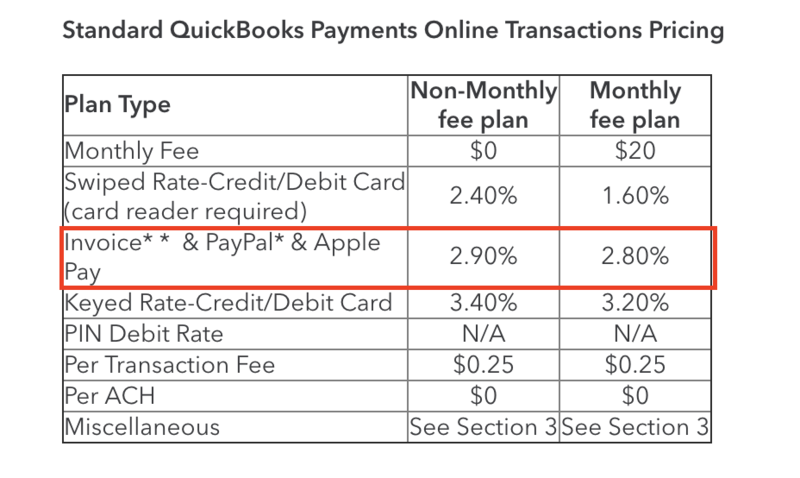 Intuit says that QuickBooks Online doesn’t have a transaction limit. A bold claim that is unlikely to be true at the extremes, but I’ve never heard people complaining about hitting any limits in QBO. My question to Goodarzi – does Intuit have plans, like Xero, to sell QBO to the lower end of the mid-size business market? In short – absolutely. In fact, Intuit wants to take on cloud ERP NetSuite! Goodarzi: Remember, today we serve enterprises. Most of our revenue in desktop, which is a US$1.7 billion business, a lot of it is enterprise. We know those customers. We know how to serve those customers. And we have apps for those customers today. And that’s how high up we’re willing to go (with QuickBooks Online). D1: So you want to take on ERPs? Goodarzi: Yeah, we’re not going to go compete with Oracle. But we believe that we already are a disruptor for companies like NetSuite. We’re building the capabilities right now (to sell QBO to enterprise). Intuit is working on two areas in QBO before it is ready to take on NetSuite and other mid-market ERPs. Performance (handling high numbers of transactions, and other data), and a roles and permissions module to control which parts of QBO staff can access. Goodarzi’s response was that Intuit wouldn’t “nickel and dime” small customers and always provide all features under the price of the accounting software. The implication was that Intuit would charge larger businesses more for these features, at some point. But you never know. We’re all so early in this game that we want to leave ourselves room to deliver the benefit to the customers willing to pay for it. 2. Will QuickBooks Online Accountant target larger firms? QBOA is Intuit’s fledgling practice management software. It is following a similar approach to Xero HQ – a modular, API-driven model, although QBOA has a very neat workflow management tool that filters jobs by customer, type and accountant. Intuit claims that 15,000 firms are using or have used QBOA, and while it is still under-featured compare to desktop competitors it is maturing quite quickly. It has another killer advantage – it’s free (like Xero HQ). I asked Rich Preece, Intuit’s global accounting segment leader, what size firm QBOA was made for. Preece said it was only for small and medium firms. “We’re not going to compete with JetPack and Karbon”, two cloud-based practice management apps, Preece said on Tuesday. His boss sees things a little differently. Goodarzi: The larger accounting firms that have 200,000 or 300,000 customers, we want to be able to provide that capability to them. We are not going to go as high as the Big Four or five accounting firms because in many cases they have the capability themselves. D1: Wow, so everything outside of the Big Four? Goodarzi: Pretty much. But don’t put a timeline on that. […] We’ll go as high as the platform delivers for customers. That’s why my answer may seem vague. We don’t want to limit ourselves based on what we think the platform could be capable of. This has huge implications for the practice management space. Intuit is building a modern, modular practice management platform that plugs into an ecosystem of apps, for firms of almost any size. And wants to give it away for free (for now, at least). The incumbents in practice management have largely worked on replicating their desktop suites in the cloud. Genuine innovation is rare (CCH IQ an obvious exception). It is hard to see how conventional PM vendors will match the momentum and funding of Intuit. Then again, firms don’t change practice management more often than every decade or two, so there is probably a chance for rivals to catch up. 3. How far will you take lending in QuickBooks? 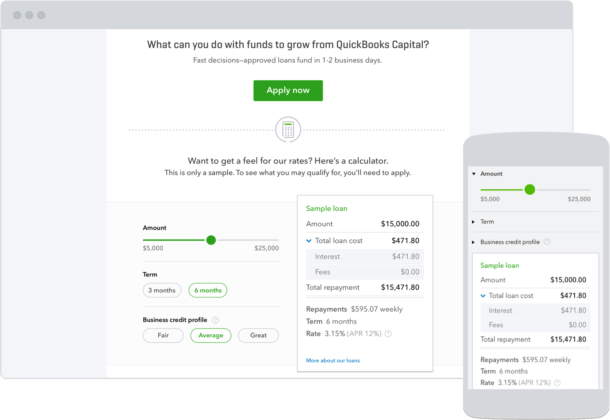 Intuit introduced lending within QuickBooks Online last year in a partnership with one of its ecosystem apps, OnDeck. Intuit supplied $100 million and customer data from QuickBooks Online files, while OnDeck brought the analytics and know-how. Fast forward 12 months and the partnership with OnDeck appears to have been replaced with QuickBooks Capital (here’s the press release). Now Intuit has the know-how, US$1 billion in cash sitting in the bank – and tonnes of data to make lending decisions. The last part is crucial. The more data you have the better you can predict the likelihood of a business repaying the loan. That means you can lend to more businesses, and you can lend them more money. So the company with the most data wins the game. Is there anyone else out there with as much data as Intuit? Goodarzi: No. No one has the data that we have. And the reason is we know your past income. We know your past expenses. And we know your future. We know the number of invoices you have outstanding. We know who they’re outstanding with. We know the creditworthiness of those customers. We know when they pay. We know when you have to pay your vendors. We have a 360 view of you as a customer, and nobody has that. And how did the OnDeck partnership go? Well it was a success from Intuit’s perspective. It is running artificial intelligence algorithms over 26 billion data sources – external data such as credit reporting bureaus as well as QBO files. Consequently, Intuit accelerated its lending in the past 12 months and now is trying to work out how it can speed it up even further. Intuit’s research shows that 70 percent of businesses in their first five years need money to survive. Of that 70 percent, only 20 percent can get a loan from financial institutions. Intuit can rely on the accuracy of its algorithms and depth of data to lend to the 80 percent that miss out. Goodarzi: No financial institution can actually lend them money because they don’t have the confidence that we have based on the data that we have. […] We think we’re actually expanding the pie for us and our partners (i.e. financial institutions) versus stealing share, because this is money that’s not being lent today. So cloud accounting software companies are really in a winning position on business loans. Intuit can lend money with a far lower rate of default, which means fewer losses and higher profits from lending. It also means Intuit can offer the lowest interest rates, which will again expand its market share. Goodarzi: We deliberately provide very low rates because we want the customer to be successful, versus we want to make a tonne of money off the customer. And so it will be more competitive versus others. But really, our singular goal is I want to give you a loan, specifically, you can’t get. D1: So what’s your estimate for Intuit’s market share of the lending market over the next couple of years? Goodarzi: We think the size of the pie is huge. And even if I had a specific number, I couldn’t give it to you. Intuit’s moves in lending were foreshadowed two years ago. Xero then added bank loans to its accounting software through a partnership with the National Australia Bank. Either directly or indirectly, lending will become a staple in accounting software. The second most valuable commodity after data is attention. Not only do cloud accounting software companies have all the data, business owners are spending more time in their accounting software. The software is becoming far easier to use not to mention more attractive than its desktop forebears. Business owners are looking at reports, clicking “ok” to reconcile their bank accounts, and submitting expense receipts with their mobiles. Look how easy it is to borrow money in this demo from the media event at QuickBooks Connect 2017 last week. It’s no wonder that banks are releasing reporting analytics dashboards for bank accounts. They are part of a battle for attention of the customer. Where will business owners view that information? Who will they prefer to discuss their finances with – their banker or their accountant and bookkeeper? It can only be a matter of time before direct bank transfers follow bank feeds into accounting software. It feels like the banks are in a tough position and it’s only getting tougher. 4. How do you plan to make money from QuickBooks Self-Employed? QBSE is an unusual product. Built for mobile only (and sold only on mobile in Australia), it is designed for the casual contractor who puts all their business and personal expenses through a single bank account. The so-called “gig economy” of Uber drivers and Fiverr freelancers is enormous – but they don’t require much in the way of accounting software or accounting services. Intuit must surely have plans for this new market. But how exactly will the company make money from QBSE? And, for that matter, how will accountants and bookkeepers? The short answer is that Intuit can sell QBSE for less than $10 a month and still make a good recurring revenue. The longer answer is again a platform play. QBSE will become a labour-for-hire marketplace modelled on Upwork or Freelancer.com, or closer to LinkedIn. Goodarzi: Over time, we believe we can go outside of that, even connecting them to work. For 30 to 40 percent of our customers say their biggest inhibitor to growth is that they can’t find great workers. So we can match supply and demand. With that said, if we didn’t do anything else today, our ARPU in the U.S. is about $120 after the promotion period is done. And you know, there’s 700 million self-employed around the globe. If we don’t do another thing other than $120 a year, we’re actually quite happy with that. This is a huge market. Accounting software companies are turning their products into powerful platforms. 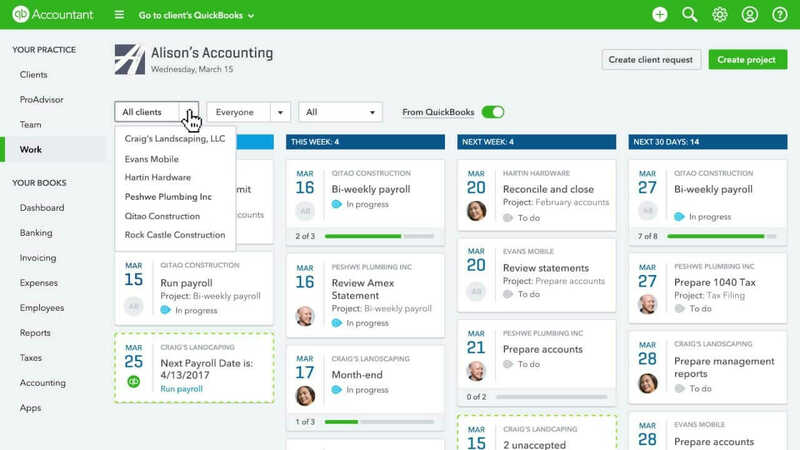 If Intuit’s expansive vision is fulfilled, accounting software will broker business loans, power medium-sized businesses, and locate your next employees. Can Intuit develop and support so many ideas simultaneously? All while pushing into overseas markets such as France, UK, Canada, Singapore, Australia and elsewhere? How will all these competitors respond? The next 12 months will be a strong indicator of whether Intuit can match its vaulting ambitions. What are the implications for accountants with the rise in power of accounting software? Good questions, worth exploring in a later article. For those that can keep pace, it spells enormous opportunity. Sholto Macpherson travelled to QuickBooks Connect in San Jose, USA as a guest of Intuit. Reckon or Intuit – Who Sells QuickBooks in Australia? Q1. Who Sells QuickBooks in Australia? A1. To answer this depends on another question as there are two answers. Q2. What do you mean by QuickBooks? A2.1. QuickBooks desktop accounting software? It’s now called Reckon Accounts and is sold by Reckon. You can buy it here. A2.2. QuickBooks cloud accounting software? It’s called QuickBooks Online and is sold by Intuit. You can buy it here. Q3. What is the difference between desktop accounting software and cloud accounting software? A3. Desktop software must be downloaded to your computer and saves your file to the computer. Cloud accounting software (also known as online software) is hosted by the software company and you access it through your browser. There are many advantages to cloud accounting software over desktop software (and a few disadvantages) which are summarised here. Isn’t this fun? And we can keep going! Q4. I don’t understand! How did this happen? A4. Here’s the longer answer, best expressed as a timeline. 1984 – Intuit founded. 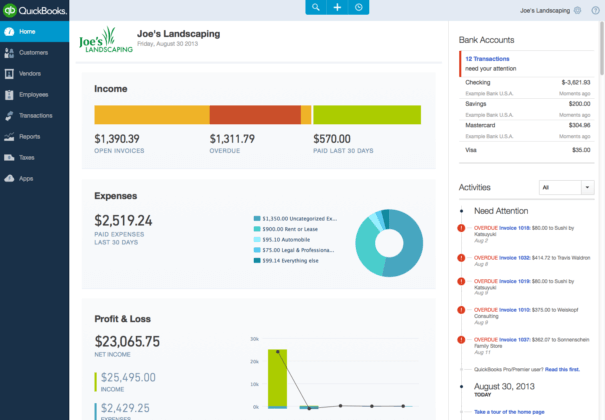 Launches Quicken desktop accounting software, which will later be called QuickBooks. Intuit quickly wins 85% of US market for SME accounting software. 1987 – Reckon founded to sell UK business software to Australian companies. 1993 – Reckon receives a licence to sell and distribute Quicken desktop accounting software in Australia. 2000 – Intuit launches QuickBooks Online, a cloud accounting program. 2012 – In January, Intuit announces it will revoke Reckon’s licence to sell software under the QuickBooks or Quicken brand. Reckon can continue to sell QuickBooks desktop accounting software under its own brand, Reckon Accounts. 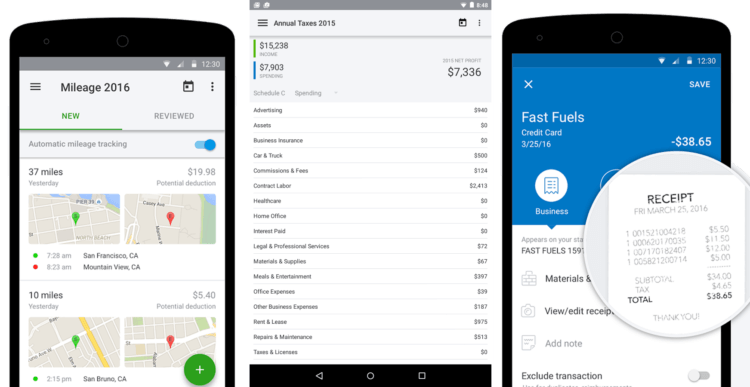 In September, Intuit announces a global version of QuickBooks Online, a cloud accounting program, and starts selling it in Australia. 2013 – In February, Reckon re-launches QuickBooks desktop accounting software as Reckon Accounts. 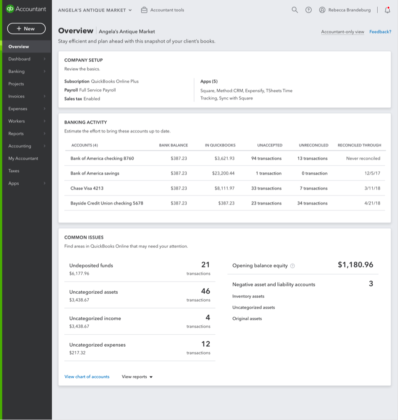 In May, Reckon launches cloud accounting program Reckon One, a competitor to Intuit QuickBooks Online. 2014 – Intuit revokes Reckon’s licence to sell software under the QuickBooks and Quicken brands. 2015 – Reckon relaunches Reckon One on a new software platform. Reckon and Intuit say they want to sell cloud accounting software (Reckon One and QuickBooks Online, respectively) to a global audience. Reckon has a home advantage in Australia, and Intuit’s base is in the US. The market for accounting software is enormous so there’s room for multiple players. That said, Intuit is a much larger company than Reckon. Last week Intuit showed just how much it wants to win in the Australian market. The first QuickBooks Connect customer conference in Australia took a leaf out of the mothership event in San Jose. It had celebrities galore (Christine Anu, Rove McManus, Michelle Bridges, Glenn McGrath), executive vice presidents (Sasan Goodarzi, head of the QuickBooks division and Rich Preece, head of the global accountants division, as well as local boss Nicolette Maury), a fancy location at the SCG and plenty of wining and dining. The whole thing must have cost a packet. An audience of about 600 showed up, and for the first time at this type of event in Australia there were a good number of business owners among the bookkeepers and accountants. This reflects Intuit’s heritage in direct sales; it is a household name in the US, much as MYOB is in Australia. Intuit is laying the foundations, slowly, for a similar presence here. It has spent big on TV ad campaigns to familiarise small businesses with the logo to avoid Intuit’s accounting partners from having to sell the brand itself, Preece told me at QuickBooks Connect Sydney. Intuit is active in five markets; the UK, Canada, Brazil, France, Singapore as well as Australia. The company is literally giving away its software. Since QuickBooks Connect in November 2016, accountants and bookkeepers outside the US could get their first 10 QuickBooks Online licences for just $10 (or equivalent in local currency). That strategy is working. Intuit’s results this week showed it had cleared the 2 million subscriber mark by 200,000, with 70 percent growth outside the US, to 433,000 subscribers. Overall growth was 59 percent, explained by the larger existing base in the US. This suggests that targeting accounting professionals with cheap software and running brand-based advertising campaigns to SMEs is effective. Like Xero, Intuit plans to monetise other financial services through the software so it still makes sense to sell it at a huge discount. Intuit is determined to build a global brand. The generational shift from desktop software to software-as-a-service (or cloud software) is a high speed, multinational landgrab. 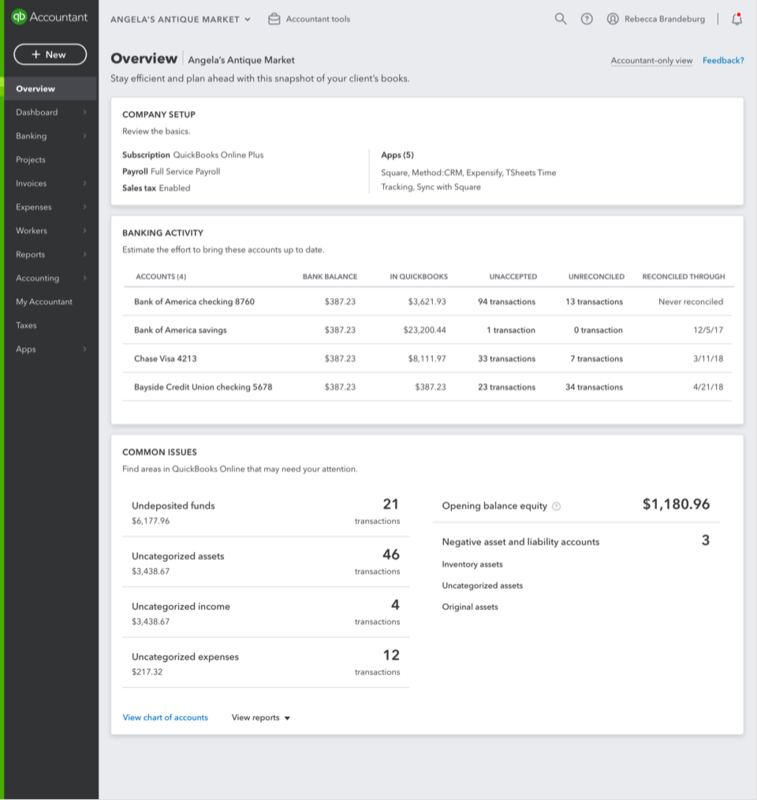 Intuit may have cracked the marketing code for cloud accounting software but it is still several tools short of matching Xero in Australia and New Zealand. Xero’s four-year investment in an integrated online tax program gives it a critical advantage in those two countries. And it is rewriting the way accountants run their practices with the notification-driven, API-happy Xero HQ (yet to be released). Intuit is rolling out practice management tools to accountants in Australia and other non-US markets, the company announced at QuickBooks Connect Sydney. The company added a tab to the QuickBooks Online Accountant app called Practice Manager to track tasks by client. The interface is a Kanban-style calendar with columns for tasks due today, this week, next week and the next 30 days. QuickBooks Online Accountant lists the tasks for clients by their due date in each column. Intuit has built an online tax app in the US which is already used by 10,000 accountants. However, building a tax app would take far too long to satisfy Intuit’s ambitions. Instead it is integrating with local tax software in non-US countries with the exception of Canada. The first example is Tax Filer in the UK which has been integrated into QuickBooks Online Accountant. “A significant number” of accountants are using it, but Intuit won’t disclose the exact number, says Preece. Intuit is looking for a similar partner in Australia. “There are not too many options, but the intent is to deeply partner in the same way as we have in the UK,” Preece says. Once you have the tool you then need to convince people to use it. Accountants take a lot of convincing, especially with practice management which is the most painful change of all. I’d expect Intuit to keep pushing harder to win SMEs than accountants. One interesting difference has emerged between Intuit and Xero. Intuit is going downmarket while Xero is going up. At Xerocon last year Rod Drury said Xero was working on increasing its transaction limits and features so that growing customers could stay on Xero for longer. Intuit CEO Brad Smith has set his sights on the self-employed. It is an absolutely enormous market that is destined to grow even faster with the transition to a gig economy. Intuit estimates there are 155 million small businesses in the world and about 700 million self-employed. Maury and Preece insist that the self-employed market is a potential gold mine for accountants and bookkeepers. At this stage, and with so much to play out, I’m not convinced. With QuickBooks Connect, Intuit gave the old accounting conference a taste of American glamour and largesse, and drawn customers into the mix. Xero vs MYOB was just the warmup. Now, as the Yanks like to say, it’s “Game on”.